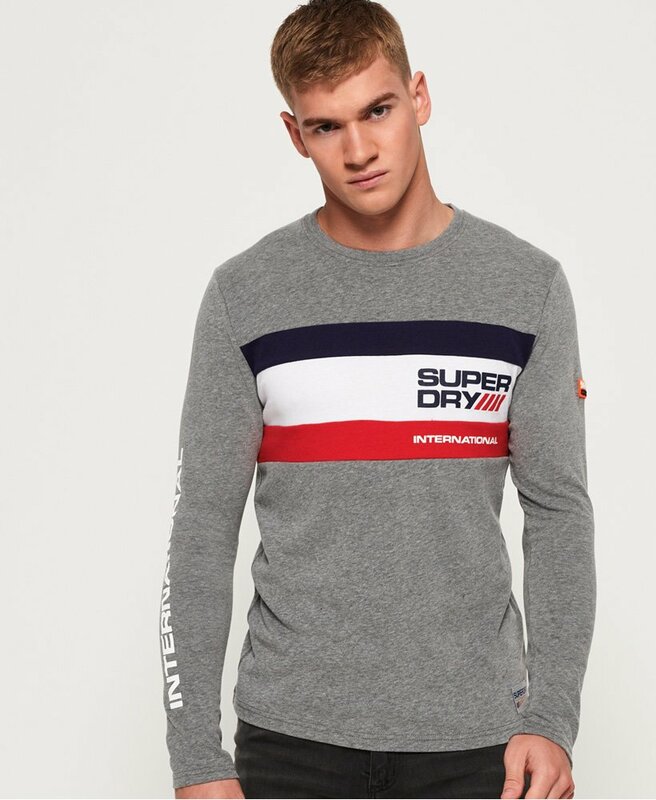 Superdry men’s Trophy tri colour long sleeve t-shirt. This t-shirt makes for a great layering piece this season, and features a crew neck, colour block detailing across the front and a textured Superdry logo on the chest. The Trophy tri colour long sleeve t-shirt is finished with further logo detailing down one sleeve and a Superdry logo badge above the hem. Pair with a zip hoodie and jeans for a relaxed, off-duty look.